28X PAL Infrared Camera, Black PTZ, day/night, IR, Black, 28X, PAL. 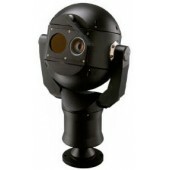 Twin integrated IR illuminators with 3D Diffuser technology provide even illumination and allow classification of objects up to 100 m (328 ft). Robust design rated to an industry-leading IP68. 28X PAL Infrared Camera, Grey PTZ, day/night, IR, Grey, 28X, PAL. Twin integrated IR illuminators with 3D Diffuser technology provide even illumination and allow classification of objects up to 100 m (328 ft). Robust design rated to an industry-leading IP68. 28X PAL Infrared Camera, White PTZ, day/night, IR, White, 28X, PAL. Twin integrated IR illuminators with 3D Diffuser technology provide even illumination and allow classification of objects up to 100 m (328 ft). Robust design rated to an industry-leading IP68. 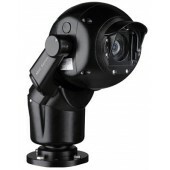 36X PAL Infrared Camera, Black PTZ, day/night, IR, Black, 36X, PAL. Twin integrated IR illuminators with 3D Diffuser technology provide even illumination and allow classification of objects up to 100 m (328 ft). Robust design rated to an industry-leading IP68. 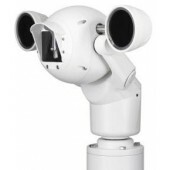 36X PAL Infrared Camera, Grey PTZ, day/night, IR, Grey, 36X, PAL. Twin integrated IR illuminators with 3D Diffuser technology provide even illumination and allow classification of objects up to 100 m (328 ft). Robust design rated to an industry-leading IP68. 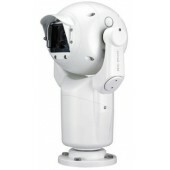 36X PAL Infrared Camera, White PTZ, day/night, IR, White, 36X, PAL. 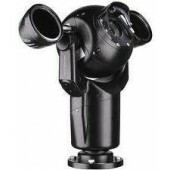 Twin integrated IR illuminators with 3D Diffuser technology provide even illumination and allow classification of objects up to 100 m (328 ft). Robust design rated to an industry-leading IP68.